Offsetting carbon from the atmosphere is Levalasi Vivian Su’a’s climate action initiative. With the thinking in mind to act locally while thinking globally, Miss Le Naumati Creations is inspired to use climate change as her pageant platform. The sea level rise that’s impacting small island states like Samoa as a result of global warming is Levalasi’s huge concern because of the limited knowledge and understanding of our communities about these environmental issues. Burning of fossil fuels and releasing tons of carbon dioxide into the atmosphere is one of the main causes of climate change. The toxic gases mainly man-made have been added to the already existed natural carbon cycle of the atmosphere hence the increased heating and as a result, global warming becomes the cause of sea level rise and increased environmental degradation. Climate Change refers to any change in climate over time, whether due to natural variability or as a result of human activity. 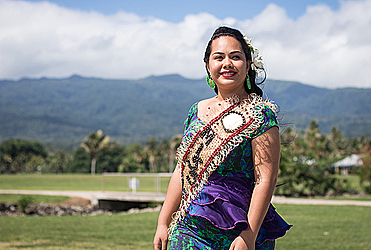 Levalasi Vivian Su’a currently works for the UNDP GEF Small Grants Programme office, and she believes that tackling climate change starts by being realistic with community actions to help minimize the negative effects at the local level. Therefore, her contribution to reducing the impacts of climate change is through a simple climate change mitigation activity of native tree planting demonstration and awareness on climate change for her host community of Samaleulu village in the big Island of Savai’i. She is starting her campaign with the EFKS Women’s Committee and the Sunday School with her invited special guests including the reigning Miss Samoa Papalii Alexandra Iakopo and the other eight contestants. 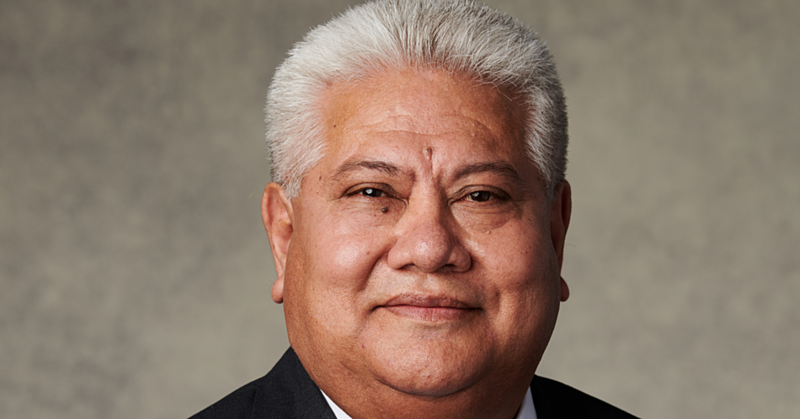 “Miss Samoa Pageant 2018 is a great opportunity to promote carbon offsets mechanisms to raise the awareness of our communities as one of the most practical ways to offset carbon dioxide,” said Levalasi. “The most resilient plants are native ones and it’s important to plant trees because they pull carbon dioxide from the atmosphere and act as a storage”, she added. Her tree planting will contribute to the 2 million campaigns that Samoa is targeting to achieve by 2020 with the aim of green growth to sustainable development. One of the key highlights of the initiative is calculating the carbon offsets of all overseas Samoan based contestants who have travelled to Samoa by plane to determine how many trees that can offset with carbon being emitted by the plane when travelling to and from Samoa. 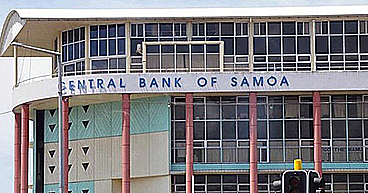 A kind monetary donation of SAT$1,000 raised by Levalasi will be presented to the EFKS Church in Samalaeulu as a seed funding for their environmental and development efforts in continuing to care for the trees to be planted in their village. 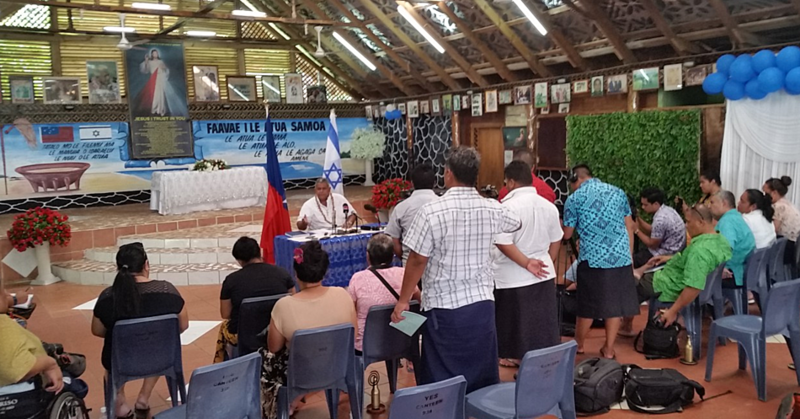 Levalasi’s climate action initiative with her host community of Samalaeulu will be launched following the contestants’ island tour being organised by the Savaii Samoa Tourism Association. The initiative will be held at the EFKS Samalaeulu Hall on the Wednesday, 5th September 2018 at 4pm. This initiative is supported by the MNRE Forestry Division and the Two Million Trees Campaign, The Ministry of Agriculture, The Youth Climate Action of Samoa and the UNDP GEF SGP office. Carbon offset initiatives are led by the Samoa Conservation Society and is being trialled for a few communities in Samoa. Donation was fundraised by Levalasi’s families, friends and the UN staff through her walkathon on 25th August 2018 at Tuanaimato.